Where do you even begin packing for a cruise to the most isolated and pristine places on the planet? If you’re wondering what kinds of things to take on a cruise to the Polar Regions with Quark Expeditions®, you’re not alone. In fact, it’s one of the questions that’s most frequently asked of our Polar Travel Advisers. We’ve created a few helpful resources for polar travelers trying to make sure they have everything they need for their Antarctic or arctic expedition while keeping within commercial and charter flight baggage restrictions. Our Expedition Packing List (with video) is a great place to start. Before you get going, though, check out these 3 things you won’t need to pack. You can leave these at home! 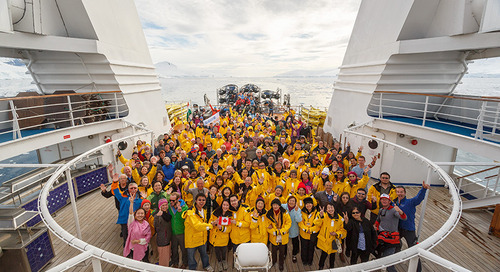 As soon as you meet up with your expedition group at your port of embarkation, you’ll be outfitted with your own iconic 3-in-1 Quark Expeditions® parka. It’ll fit just right, as you’ll have submitted your measurements with the rest of your pre-trip paperwork. Your Quark parka is the best protection against the occasionally unpredictable weather conditions in the regions we visit, and it has been specifically engineered to meet the climatic demands of both the North Pole and the Antarctic Peninsula. The soft, stretchy polyester/spandex outer layer is waterproof yet breathable, with seam-sealed construction and a longer tail drop to keep your backside warm while you’re seated. The 2 inner and 5 outer pockets provide plenty of room to carry camera equipment, lip balm and other essentials. The inner liner is a soft, comfortable and warm polyester, with polyfill insulation. Put it on, break it in and get comfy – it’s yours to keep! One of the greatest aspects of an Antarctic or arctic expedition are the twice-daily shore landings. 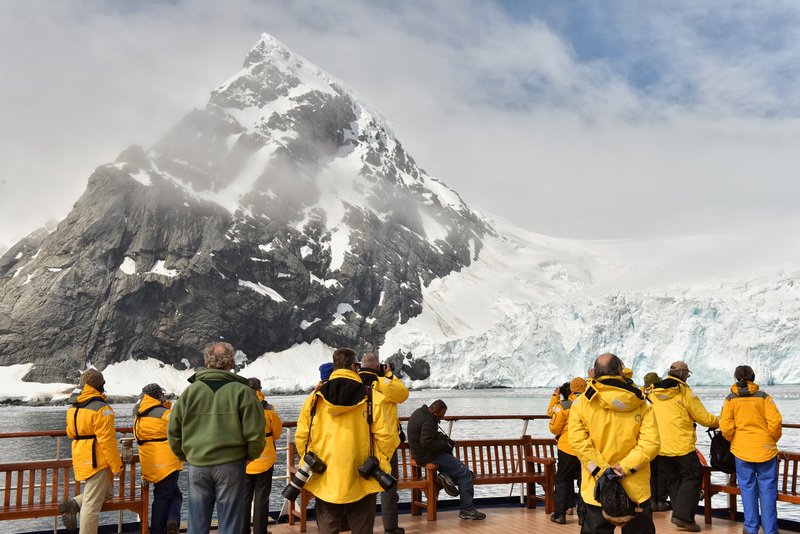 As you Zodiac cruise amongst the impressive icebergs, visit an amazing Arctic bird cliff or hike the shoreline while looking for wildlife, it’s important to keep your feet warm and dry. The last thing you want to cram into your suitcase when you’re packing for a cruise, however, is a clunky pair of boots. That’s why, once on board, every passenger is given a pair of waterproof muck boots to use for the duration of their expedition. 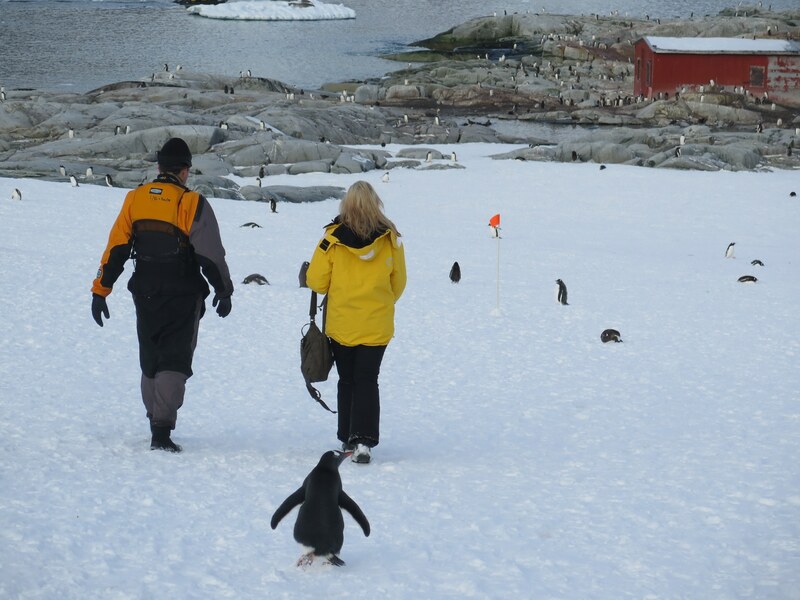 With neoprene uppers and a neoprene/polyurethane foot, these specialized walking boots will keep you warm and dry as you investigate penguin colonies, track arctic fox or hike a glacier. Merino wool socks work well to wick moisture away from your feet, plus they also offer antibacterial properties that allow you to wear them more than once. Various expeditions offer different Adventure Options. Shore visits are available on every trip, and on select polar cruises you can also sign up for kayaking, one of the most intimate ways to experience the Polar Regions. 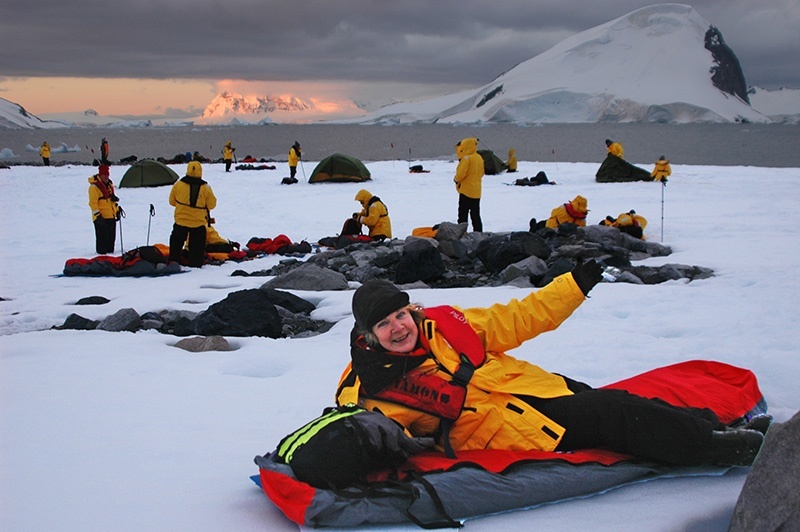 Some visitors to Antarctica can camp out overnight on the 7th continent, and hiking, snowshoeing and cross-country skiing are all options, depending on the ship. At the North Pole, you may even have the chance to go hot air ballooning. Whatever the polar adventure, all of the gear you need to enjoy these outings is provided, so you can leave your adventure gear at home. Kick your worries to the curb and just enjoy yourself. Every Quark expedition includes US$100,000 in complimentary emergency evacuation insurance, and we’ve partnered with TripMate to ensure that you have the best options for travel insurance available. We’ve been planning and leading polar expeditions for 25 years and work hard to make sure you have the time of your life on every Antarctic and arctic cruise. Knowing what it takes to make an epic polar expedition, we offer the best inclusions in the business, so you’ll never experience a surprise bill at the end of your trip. There’s an itinerary to suit every type of traveler, allowing you to relax and focus on making the most of your experience. Contact an experienced Polar Travel Adviser today if you have questions about which things to take on a cruise to the Polar Regions – and what you can leave at home!